It is hard to go wrong with a Callaway golf club as they have been making them for long enough to understand what different players are looking for in any of their clubs. 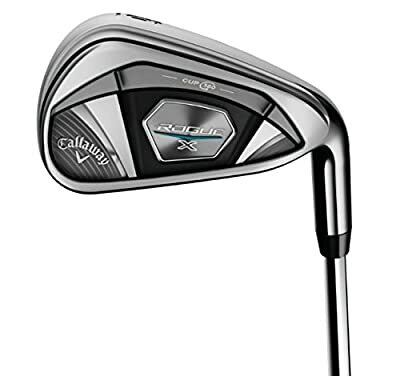 Their irons are some of the most popular and the Callaway Golf Men's Rogue X is one of these popular Callaway irons. It is a well-built individual club that makes use of different technologies to generate great ball speeds and distances. It is hard to go wrong with a Callaway golf club as they have been making them for long enough to understand what different players are looking for in any of their clubs. 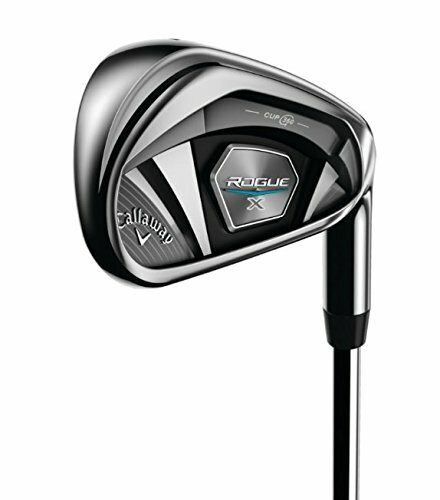 Their irons are some of the most popular and the Callaway Golf Men’s Rogue X is one of these popular Callaway irons. It is a well-built individual club that makes use of different technologies to generate great ball speeds and distances. These technologies include 360 Face Cup and VFT, Internal Standing Wave, Urethane Microspheres and Tungsten Weighting. And golfers will also have the option to go either for steel or graphite shafts. 360 Face Cup: 360 face cup is a common feature of most Callaway irons and few of their other clubs. It is designed to increase ball speeds by making use of a shallow and flexible rim around the clubface’s perimeter. And for this iron, it combines with Variable Face Thickness which is a technology that influences how the face flexes for greater ball speeds even when you make off-center hits. With these two technologies, you will always get greater speeds and distances. Internal Standing Wave: The internal standing wave is another impressive technology also found on most Callaway irons and it is meant to provide optimal ball flight and easy control. Urethane Microspheres: This iron uses elastic urethane microspheres to ensure that you get the great feel and confidence-boosting sound that comes with urethane but without having to compromise the ball speeds or the COR. Tungsten Weighting: Also for optimal control and ball flight and it helps by allowing for the placement of COG with high precision. This stems from the fact that tungsten is heavier than steel, and so it makes it possible to concentrate more weight in a small space for a precise center of gravity location placement. Shaft: For the shaft, Callaway provides both steel and graphite options to suit different players’ tastes and it is available in the three main flex options. There are many factors to watch out for when buying an iron, but one of the best ways to ensure that you get something high-quality is by buying from a top brand like Callaway. The design and performance of the Rogue X explain why the brand is trusted by thousands of golfers across the world. It is a sleek-looking club that makes use of different technologies to generate fast ball speeds across the face and ensure you get the best launch. Also, Callaway keeps its weight down and makes it longer to ensure golfers have an easy time swinging it. If you also factor in the more precise center of gravity placement and the highly durable multi-material construction, you will see that this is a top-notch quality golf club. Even with the few complaints from some buyers such as the iron still not being light enough for high handicappers and the grip needing some improvement, this is still a great club worth trying out.